The environmentally friendly and reliable solution for convenience stores, supermarket and gas stations. Energy savings, the customer’s feeling of safety and the environment has been the focus when developing these units. 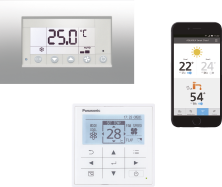 You may be able to meet upcoming European targets of HFC reduction by choosing the Panasonic solution. Why wait? 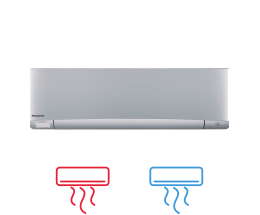 Avoid refrigerant blends and choose the green solution from Panasonic. When everyone is using different refrigerant blends the result will be confusion and difficulties in refrigerant handling. 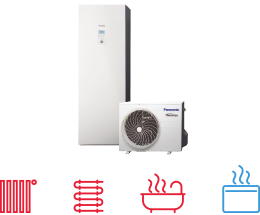 Panasonic refrigeration - Natural refrigerant - Natural choice. Panasonic’s transcritical condensing unit is the natural choice. Choose the safe reliable solution with Panasonic. Panasonic offers 5 years of warranty on compressor and 2 years on components. The 5 Year compressor warranty matches the products long lifetime. With Panasonic you also save money on servicing. Panasonic offers a complete solution. Easy installation and reliability is key to success. In the supermarket business a very high level of equipment is required to secure the food storage. The PackageSolution includes a condensing unit, a panel with preprogrammed controller, expansion valve and all required sensors. When purchasing the Panasonic plug and play PackageSolution you receive almost everything in one package. Ready to install and commission, only the evaporator, safety valve and pips need to be added. The panel contains a preprogrammed super intelligent controller specially designed for storage rooms and show cases. Everything is delivered in one box with easy to understand instructions that can help you to reduce the installation time by several hours. 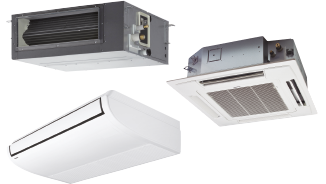 Commissioning the installation only requires setting the right suction pressure of the condensing units and room temperature. The combination of factory produced high level unit and precise regulation of the 480 steps modulating expansion valve you will experience a very stable and energy efficient system. Stable super heat and pressures all year round are key to maximising the success of the energy efficient system and reducing the cost of energy bills. Both supermarket chains and convenience stores all over Europe are require kind of product. With the low weight of only 67 kg you save lot of money as very little foundation is required. Panasonic has developed CO2 transcritical condensing units with low energy consumption and low carbon footprint. 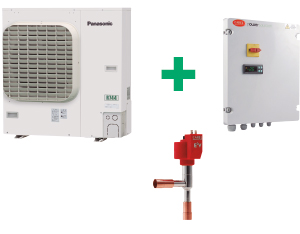 The same unit is able to run both at low- and medium temperature, by changing only the set-point. Programming the unit during commissioning only requires setting one parameter. Users can choose between four settings and the unit is ready to run. Standard settings can easily be modified by turning the user friendly rotary switch. Stable running and efficiency active by combination of frequency controlled 2-stage rotary compressor, EC-Fans and the Liquid adjustment system. 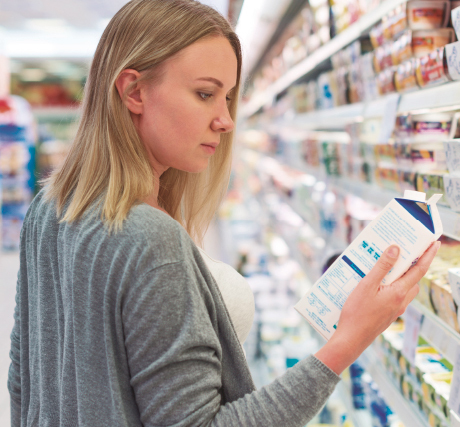 Non reliable refrigeration systems increase risk of food waste, with both negative impact on the environment and the economy. 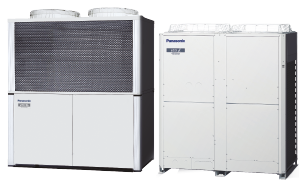 Panasonic has now released new condensing units with natural refrigerant for smaller installations, which are often not equipped with supervision and require reliable refrigeration systems. Panasonic has more than 10 years of experience with smaller condensing units using natural refrigerant. 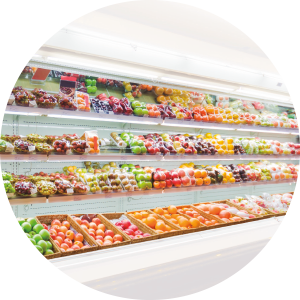 The Panasonic units are developed for convenience stores and supermarkets where food waste is an important issue. By combining reliability and natural refrigerant Panasonic has developed the solution of the future. Reliability is our main target and therefore we are offering a 5 year warranty on compressors and a 2 year warranty on other components! 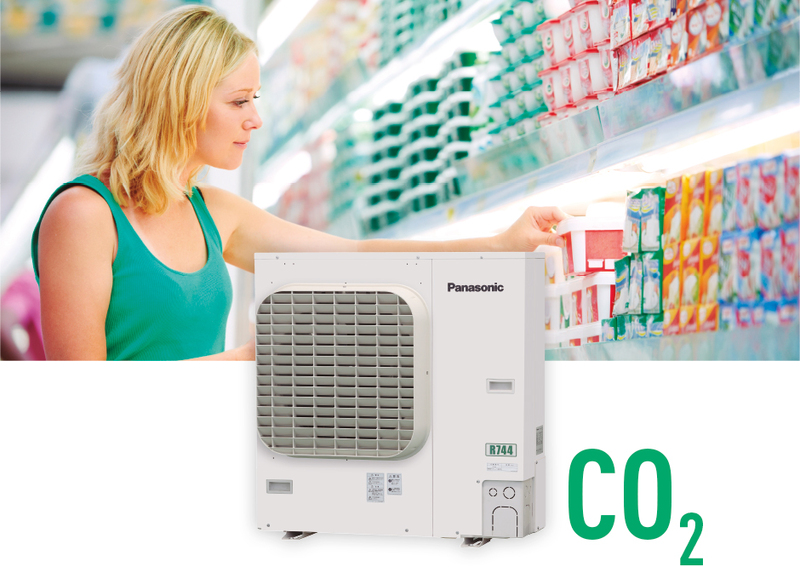 Panasonic now offers a reliable and environmentally friendly condensing unit for commercial refrigeration. This 2HP condensing unit is suitable for refrigeration and freezing in gas stations and convenient stores. Ambient temperature: 32°C, 200V, Compressor: operation frequency: 65s-1 Refrigerant: R744, suction gas temperature: 18°C.